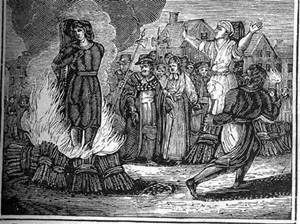 Today, in the United States many may be surprised that modern day persecution of witches still exists. I feel society should be advanced enough to allow for peaceful coexistence. Unfortunately, there is still prejudice, hate, and yes religious persecution in this world. Although people around the world wish and strive for peace, there is still persecution from religious zealots. Because I live in the United States and the United States in general, considers itself to be a Christian Nation, Let’s take a peek at the Christian Bible and discover why Christians think it’s ok to persecute witches in the name of God through his word. In the Old Testament, in the book of Exodus, Chapter 22, verse 18 it states, Thou shalt not suffer a witch to live. 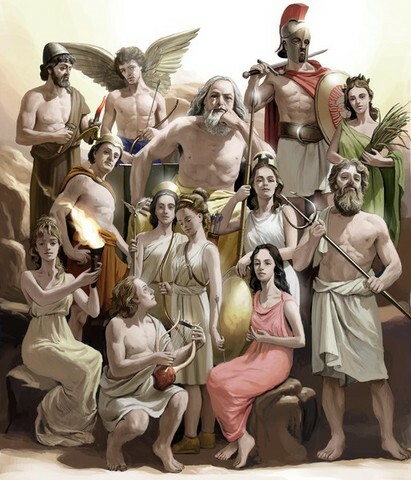 In the Old Testament, in the book of Leviticus, Chapter 20, verse 27, It states, A man also or woman that hath a familiar spirit, or that is a wizard, shall surely be put to death: they shall stone them with stones: their blood shall be upon them. As we can see from just a glimpse of what Christians teach, they believe Witches should be put to death. Let’s make a brief overview of the persecution of witches in the past. Where did it all begin? A brief history of persecution of Witches. In 1208, the Pope attacks the Cathar Heretics with lies and deceit using false propaganda. In the mid-1400s, deadly witch trials erupt in Europe. In 1484, The Malleus Maleficarum was printed. It is a murderous book that instructs Christians to kill witches. In the Early 1500s, The Reformation sends the death toll up. In 1591, King James authorizes the torture of suspected witches in Scottland. Finally, in 1682, England executes the last witch. During this time of persecution, Whole towns across Europe are wiped out of all females, this includes female children, not to exclude men, but women were being wiped out. Then, Here in the United States, a new episode of Hysteria broke out among the Christian Puritan zealots of Salem, Massachusetts. In 1692 -1693. About 20 more innocent men and women accused of witchcraft were murdered in the name of God. Some of these victims were deaf, old, disabled or senile. Even today, across the world there have been murders of men and women accused of witchcraft. The I.S.I.S. terrorist group recently executed a man publicly without shame with their evil faces uncovered for all to see as they killed this man in the name of Islam. Here in the United States, persecution is a bit more subtle. There are no public executions and witches aren’t being tortured by the government to confess to witchcraft but persecution from religious zealots still exist. It exists in the form of prejudice, hate, discrimination, bullying, hate speech, peer pressure and harassment. I have always tried to be careful to whom I told I practice witchcraft. I had just moved into a new neighborhood. No one really knew me and I thought things were going quite well at first. Then one day to my surprise, the police began to show up several times a day with frivolous complaints. Shortly to follow, I discovered I had been outed as a witch. Someone I trusted went to all of my neighbors and outed me. This went on for some time. I told one of the officers that the police were being used to harass me because I am Wiccan. He laughed, I quickly reminded him of the First Amendment, Wicca is a recognized religion and that he was to protect, serve and uphold the law. The complaints continued but finally the police grew tired of it and told them that the next person to call the police is going to be arrested. When they realized that plan failed, these neighbors decided to start making complaints to the landlords. When that failed to get me removed from the neighborhood they decided to band together in a mob and call me out. They told me they didn’t want my kind in their neighborhood and they wanted me out. They admitted that they were afraid I was going to hex them and cause them harm and they wanted me gone. Another time, I was reading a book about witchcraft on my break at work. A Muslim co-worker and her Christian counterparts had a problem with that and conspired to get me railroaded from my job. They were, in fact, successful, I lost my job for being a witch. I see on Youtube all kinds of hate speech from Christians and Muslims alike in the comments on videos about witchcraft and Wicca. Bullying the witch with threats and hate speech. Some public witches have even had death threats. These Religious Zealots, harass and bully anyone who doesn’t agree with them. They persecute anyone who doesn’t live the way they believe. They try to control others with their persecution. When these religious zealots want to take away religious freedom from other religions by removing other religious materials, prayers and practices from schools, the government takes away All religion from the schools including Christianity and they get angry and claim persecution. that their religious rights have been impeded. These religious zealots grow angry when their hate speech, bullying, and discrimination isn’t tolerated. They claim persecution and their freedoms are being impeded. They are currently fighting for the right to discriminate, bully and persecute based on their religious freedom. They seek to take away the rights of others. In the First Amendment, it speaks of freedom of religion. It doesn’t say freedom of Christianity. It specifically states freedom of religion, in general, to include all religions, not just Christianity. It does not give the freedom to abuse, hurt, discriminate, or spew hate toward another person. 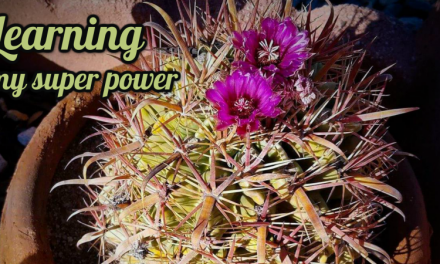 Today, some Witches Keep their practices hid out of fear from their religious family, bosses, co-workers, clients, or neighbors not because they are doing something wrong, hurtful, hateful, evil or illegal. It is simply out of fear of persecution. So, Do I believe that modern day persecution of witches still exists? From my experience, I say yes. We can stay true to ourselves, continue to strive for personal growth and inner peace, take peaceful steps to protect ourselves and our community, try to educate the public, Find assertive, yet, peaceful and effective ways to fight back. Above all else we can use magick to help us with all of these things. 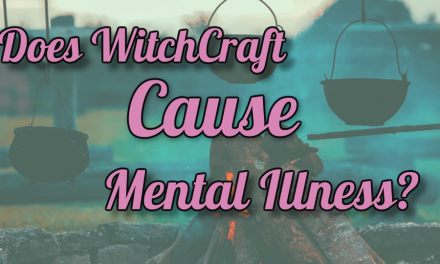 Is Mental Illness Caused By Witchcraft? You would think in this day and age people would be more tolerant of others beliefs. I am so sorry to hear that happened to you. It really is sad that we are in a new age movement, yet we still find hate and persecution. Most of the time I find it is due to the lack of knowledge of what the craft is all about. I am fortunate enough to live in the woods where I am free to exercise my magical right. But there are others that do not have that advantage. As far as a solution? It is difficult to say.. Perhaps educating the public. But how? Has there ever been a witch bold enough to enter into a church and speak to a pastor? Ask him if you can inform him about what the craft is about. We mean no harm. We don’t hex people, we don’t worship the “devil” we’re not trying to convert anyone or sacrifice little babies. You can still practice witchcraft and believe in God. I know that is basically jumping into the lion’s den, but just getting someone to lend an ear may be all it takes. I know that since at least the last 20 years many Witches, Wiccans and Pagans have been trying to educate the public about what it is all about. 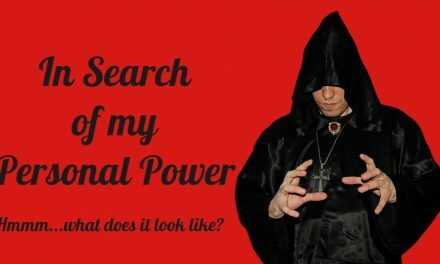 We have demystified Wicca to the point where some people, new Wiccans don’t even understand the relationship between the religious aspects of Wicca and the half that is Witchcraft, and that is just to point out the tip of the iceberg. Many Christians that I have encountered have heard all about how we don’t worship the devil and all that but they are told it is a lie. That it is the devil’s way and that We as Pagans are simply delusional and we are at the very least a victim of the devil’s lies. Not all Christians are this narrow-minded, but I still am told I worship Satan although I don’t even believe in a Satan. I don’t think it is so much getting people to know what we believe or even for them to remotely understand it. I believe the true focus that needs to be addressed is Tolerance. Meaning they don’t have believe, accept or even like what we believe but that everyone simply tolerates the fact that we all believe something different and that it is ok because it is not our responsibility to control what others do or believe nor is it our responsibility to enforce what we believe on others who may believe a little differently. That includes those in the Pagan community. The world is full of diversity and we as the human race should be expected to allow that diversity. When everyone in the world realized that we are responsible only for ourselves and we can only control our own actions, reactions, and beliefs and can let go well enough to say hey, I don’t believe what you believe and that is alright. I don’t have to control you because I am in control of myself and that is what matters.